Using cloth diapers is really a thrill for me. I love the comments I get and the questions I get when I use them. But finding a unique cloth diaper can be difficult. 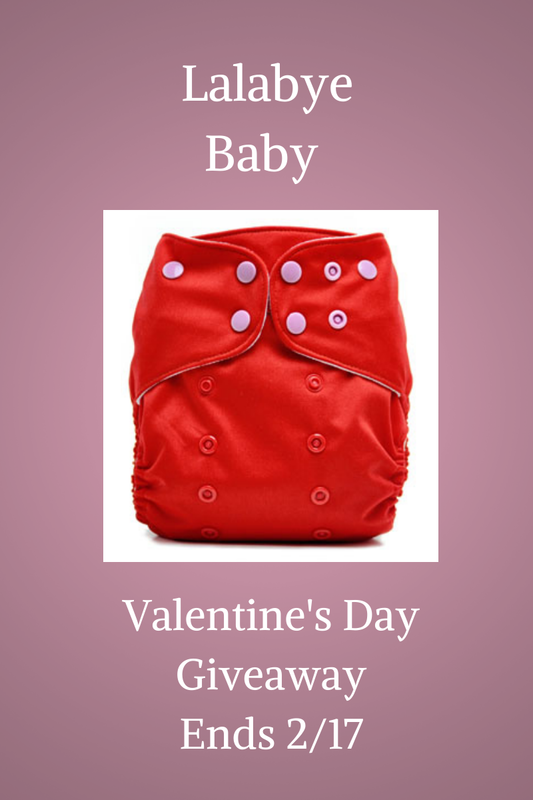 When I saw the new Ahoy Diaper from Lalabye Baby I knew we needed it! It is so different and unique and I knew my 2 boys would look stunning in this diaper! Sleeve diaper, which is great because inserts agitate out themselves in the washer, no need to unstuff them first. I just love this diaper so so much!! On my 3 week old. He was 8.5 pounds and 21" in this picture with the NB insert. It's a perfect fit and we had no leaks. The inserts snap inside the diaper which is great for the wash as well, they stay snapped so there's no need to match the right insert with this diaper and start over with it. It stays there, ready to go. You can put them inside the sleeve and make it a pocket diaper, or just leave them on top like an All In 2 diaper. I leave them on top because it's much easier and faster. Especially now that I'm folding diapers for 2! This diaper is wonderful. It fits my 3 week old and 2 year old both perfectly. It fits my 3wk old on the smallest rise and waist setting and it fits my 2 year old on the highest rise setting with no snaps showing in the waist (he's skinny). The diaper claims 8-35 pounds. It fits my 8.5 and 24 pounders perfectly! I love the gentle leg elastic, it doesn't leave red marks on either child. It also has a soft lining that wicks moisture away from baby. The inserts are REALLY trim and thin. They look like they won't absorb anything, but since they're made from bamboo they are REALLY absorbent despite being so trim. The newborn insert lasted my 3wk old 3 hours without issue. Overall this diaper has been awesome on both my kids, but I'm using it on the newborn for now so I leave it adjusted for him. Lalabye Baby has quite a few solid color diapers and has recently released a few prints. Price: $18.50 for solid colors and $18.95 for prints. I love Mary's Little Lamb 2 as well! awe these are so cute and i love that the inserts snap in. I love the Owl always love you print! I LOVE the Dr. Seuss and the "Owl always love you" prints. Too cute! I love Turtle-ly Cute. So cute! Love the Butterfly Kisses diaper!! We just found our our second baby will be a girl... I'd love to have the Butterfly Kisses diaper for her! These are so cute! Just found out we are having a girl and would love the butterfly kisses, too. So fun! My favorites are ahoy and three blind mice. I love the 3 Blind Mice diaper. So cute! I love the ring around the rosey diaper! I like the Twinkle Twinkle Little Star design. Loving the old mcdonald 2! I love the Turtle-ly Cute and Butterfly Kisses! I really like the Ahoy print. Turtle-ly cute all the way! Love the Cat in the Hat diaper :) So cute! My favorite is the Ahoy diaper you posted, but I also like Owl Always Love You! I love their Turtle-ly Cute Diaper - super cute! Butterfly kisses is my fav! So cute! I love the Dr. Seuss diaper. I would be giving this to my daughter-in-law who is a voracious reader. So I think she would love this for her first baby, a boy due in June. I like Dr. Seuss. Thanks for the giveaway! Im just starting to get cloth diapers for my first little one who is due n August. I like the 3 Blind Mice diaper. My favorite diaper is the turtle-ly cute. I love the Ahoy and Dr. Seuss diapers! Man I really like several...old Maldonado 2, the turtle one, ahoy, and Mary had a little lamb! My favorite diapers ever! I have to have Owl Always Love You. I love the Turtle-ly cute! So adorable. Ahoy is definitely my favorite dipe - I've never seen anything like it before! I like the Turtle-ly Cute one. All Around the Mulberry bush is my favorite! Love all of the new prints! I like Mary's Little Lamb, Owl Always love you and Ahoy! I am new to cloth diapering ... and all things baby and motherhood (my first little is due in May), so I love being able to read your reviews! I like the Turtle-ly Cute. I love the Butterfly Kisses. owl always love you is my favorite! Owl always love you - so cute! Twinkle Little Star is my FAVORITE! Love these diapers! Ring Around the Rosey 2 is adorable!!! I love ahoy, how cute and different! The traveling circus pattern is too cute! I've just started on my cloth diapering journey, and building my stash for my May baby. 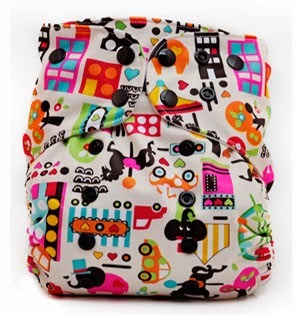 The Traveling Circus One-Size Stay-dry Bamboo Cloth Diaper would be so cute on her little bum! I love Owl always love you. Im an Owl freak, so definitely "Owl always love you" designed diaper!! I love the Ahoy! diaper print! All Around the Mulberry bush! They have such cute diapers! I like the Owl Always Love You print. I really like the Owl Always Love you Print, I am a huge fan of owls, so cute! I like the Dr Seuss! I like the Baby Beluga 2 diaper. I love Old MacDonald 2. I like the Butterfly Kisses diaper. The Dr Seuss OS. I love Dr Seuss! Mary's Little Lamb 2...although I like most of their colors and prints! I love Owl Always Love You. We love owls! Traveling Circus is such a cute print! I like turtle-ly cute and butterfly kisses. I like the Butterfly Kisses print. All around the mulberry bush is wonderful! I like the Blind Mice in Boy. The Ahoy print is to die for! Love the new owl print!!! I like the Dr. Seuss diaper, such a classic print. I love Owl Always Love yoU! So cute! My kids would love To The Rescue. They love fire trucks. Turtle-ly cute has been a favorite for awhile, but all around the mulberry bush is really cute, too! I love the traveling circus and turtley cute. All of the prints are adorable. I have never tried their diapers but I would love to! Owl Always Love You is my favorite print of diaper! I like the Ahoy print. The Ahoy is super cute! Owl always love you! So cute! Love LaLaBye Baby Cloth Diapers...such cute Owl design!! Owl Always Love You or Dr. Suess...both are perfect! I just love the turtley cute diaper!! I love ahoy and traveling circus! Ahoy! These are SO cute! Owl always love you is my favorite. One of my favorites is the Owl always love you diaper. I really really like the Three blind mice (boy)! it's so cute. I LOVE the Ring Around the Rosey 2!!! The Ahoy was soooo cute! My favorite is the Owl always love you!